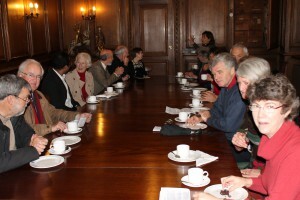 Trinity college has had a long association with St Mary’s. After the Reformation Thomas Pope procured the ad vowson for his new foundation of Trinity Collage at Oxford, and also bought land opposite the present entrance to the churchyard for a rectory, to which the whole collage could retreat in times of plague. Until 1871 the Presidents of Trinity College were ex officio Rectors of Garsington. Some took their duties very seriously, like President Kettell (1599-1643) who rode out each Sunday to take the service. He supported the farmers in the parish in their fight against enclosure of the common lan in the early 1620s. This had far-reaching results, the land not being enclosed until two hundred years later. Other Rectors neglected their duties and some even failed to appoint a curate, leaving the Parish Clerk to provide continuity. In 1824 the Rev’d James Ingram became President of Trinity College. He was a distinguished antiquarian, and took a keen interest in the parish as Rector. Under his supervision a village school was erected on the Green in 1840. there is a brass memorial to him in the chancel. He had six heraldic shields made for the chancel windows by J H Russell of St Clements Oxford. Most have some historical connection with the church. 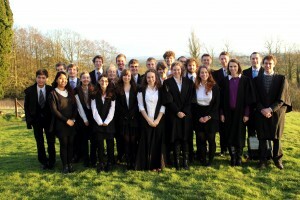 On the north side are the arms of St John’s College Oxford (one of the seven colleges other than Trinity with property in the village) and Durham College, a reminder of Durham Hall that was formerly on the site of Trinity College. On the south side are the Royal arms of King William IV (who was reigning when Ingram became Rector); the diagonal cross arms of St Alban’s Abbey of which Wallingford Priory was a cell; the arms and motto of Sir Thomas Pope, founder of Trinity College in 1555, which were adopted by the college as their arms and motto; and the arms of James Ingram. Two more Presidents of Trinity College succeeded James Ingram as Rector, before a new Act of Parliament in 1971 prohibited pluralism (the holding of more than one church living at the same time). The Rev’d David Thomas, a mathematician from Trinity, was appointed as Rector in 1871 and served the parish for nearly forty years. He died in 1911 and was buried in the churchyard, where a large stone cross marks his grave. 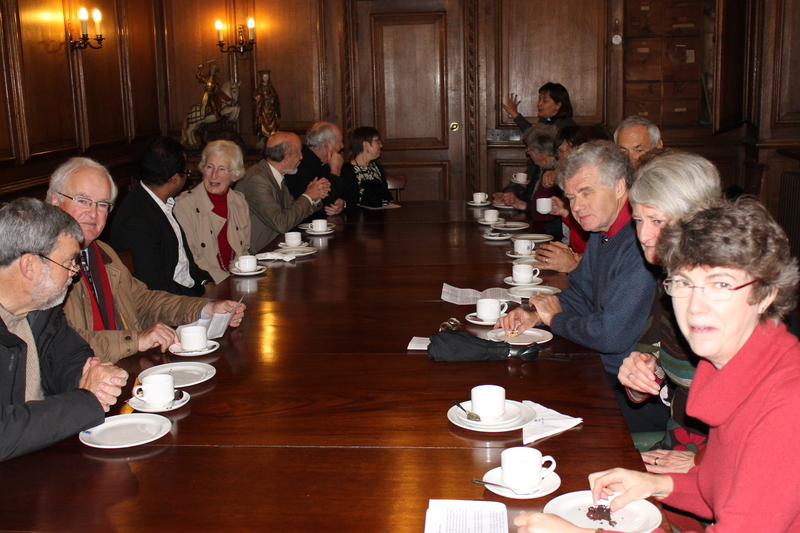 Since 1983 Trinity has continued to be a joint patron of the church along with the Oxford Diocesan Board of Parsonage. 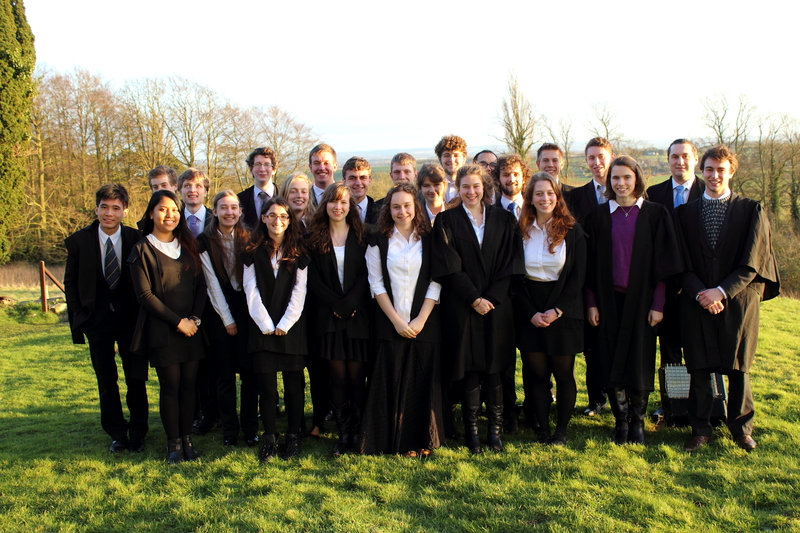 The links with the College have been renewed recently with the Chaplain, Rev’d Emma Percy speaking on the history of Trinity at Garsington and a visit from the Chapel choir to sing Choral Evensong at Candlemas 2014.